Godolphin trainer Charlie Appleby has Blair House ready for an Australian debut at Caulfield. 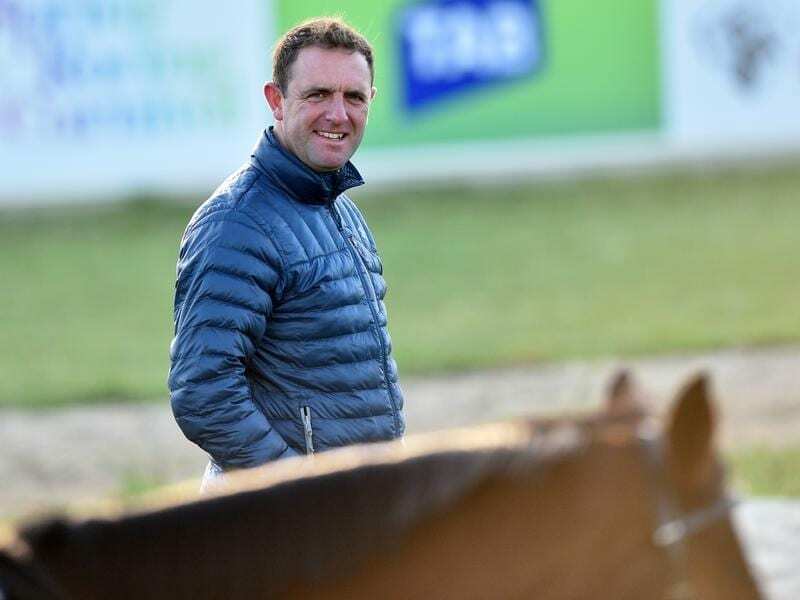 UK Godolphin trainer Charlie Appleby blazed a trail of success during his first Melbourne visit that lit a fire for further travels. That foray registered five victories – the Geelong, Bendigo and Sandown Cups – along with two other staying races. Last year he returned with a team that included middle-distance galloper Folkswood, a Cranbourne Cup winner, before running third to Winx in the Cox Plate. Appleby’s latest trip saw him dispatch an advance party prior to his Caulfield and Melbourne Cups contenders arriving in Melbourne on Saturday. Jungle Cat got the ball rolling winning last Saturday’s Group One Sir Rupert Clarke Stakes while Folkswood, on his second visit, didn’t strike gold in the MRC Foundation Stakes. The third member of the raiding party, Blair House, runs for the first time in Sunday’s Group One Underwood Stakes at Caulfield. It’s a race that will shape the spring campaign for the six-year-old. “This is an important race for Blair House,” Appleby said. Blair House holds a nomination for the Cox Plate which may be on the agenda depending on his performance on Sunday or he may be aimed at the Mackinnon Stakes on the final day of Melbourne Cup week. Appleby has also suggested Blair House could be dropped in distance to 1600m. Blair House was successful over Sunday’s journey in Dubai in March and hasn’t raced since finishing tenth to Cox Plate invitee Benbatl in the Dubai Turf on World Cup night. “He is a winner of the Group One Jebel Hatta at Meydan and I think the Australian style of racing will suit him,” Appleby said. “He travelled over fine and has settled in well at Werribee.